Survey time: How many complete puzzles do you have in your house? If your answer is “none”, then you are definitely a parent and most likely have a kids’ playroom that’s like a scene out of Where’s Waldo, except Waldo is a puzzle piece. Now – if you answered that you have at least one complete puzzle, then I salute you and want to offer you a well-paying gig cleaning my kids’ playroom. But wait, what’s this? 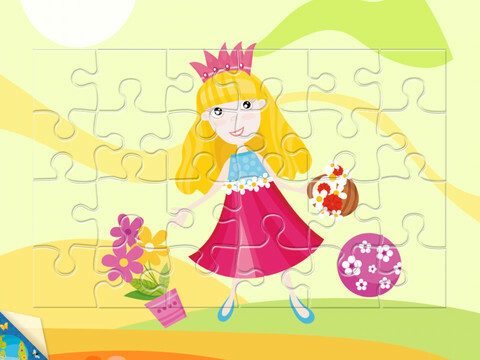 Why, it’s KIDSAPP: Princess, the puzzle app that ensures you won’t lose any pieces. 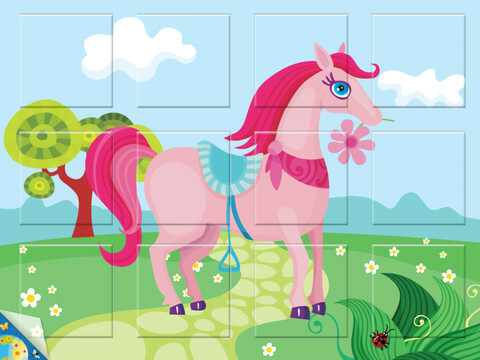 Seven princess-themed puzzles in different shapes and sizes boost young players’ hand-eye coordination. A special spelling section offers 5 different languages for bi- and multi-lingual kiddos. My 3-year-old daughter would be pink if it were possible. (She tries so hard – do me a favor and never give her a pink marker.) She stayed quite busy playing the app for 10 solid minutes and the puzzles weren’t too difficult to her age level, but the spelling was beyond her. Her older brother wanted nothing to do with the girly, unicorn-y animations. If you have a pink-obsessed girly princess who loves puzzles than this app is a must-have and reasonably priced at $1.99. 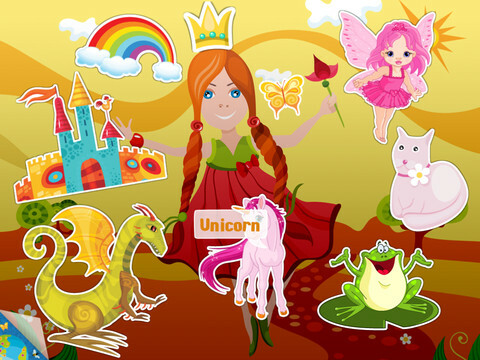 If your little one i anything but the target demographic then I would take a pass on KIDSAPP: Princess.